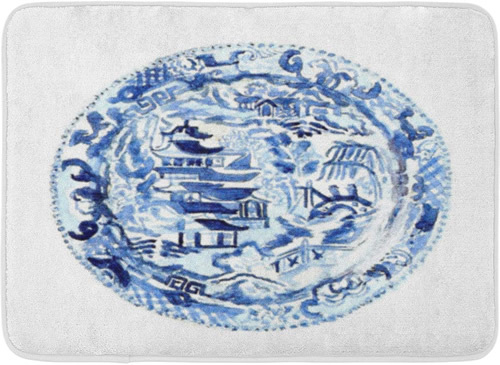 Style and comfort come together in these Asian Motif memory foam mats. 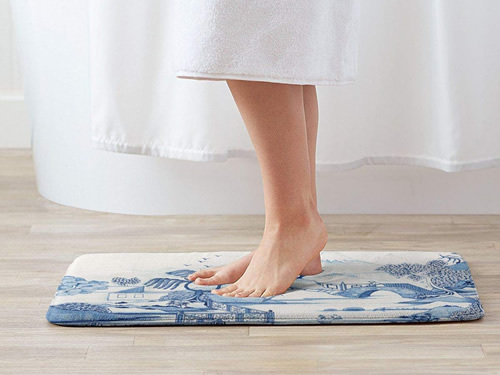 The soft cushioned memory foam makes it more comfortable when you step out of the shower or when you stand at the stove or sink. 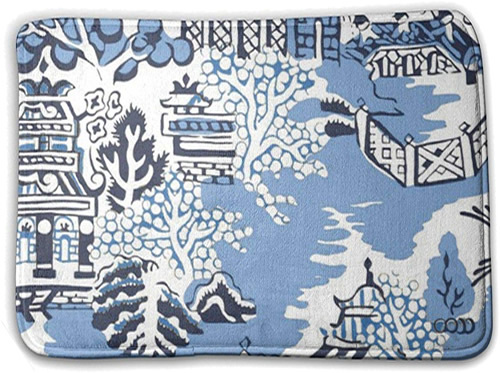 It is even soft enough for your doggie to rest on! 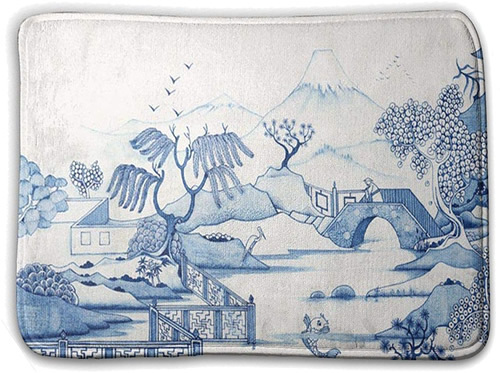 The cover is soft and absorbent, but dries quickly. Memory foam mat for use outside of your shower or bath, in front of the kitchen sink or anywhere you want to stand on a comfortable mat. 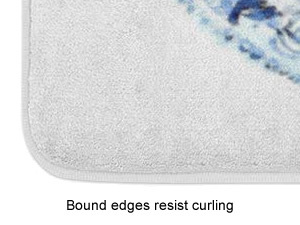 Bound edges resist curling, so you are less likely to trip. 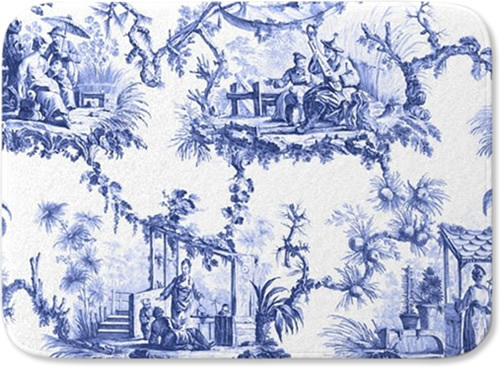 I bought this one for the kitchen in our new house. I wash it every other day and it still looks great! 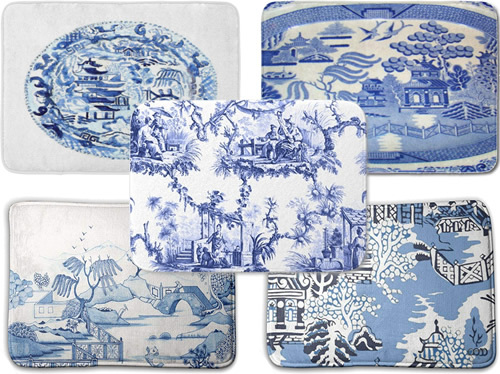 I plan to get a few more for other areas. 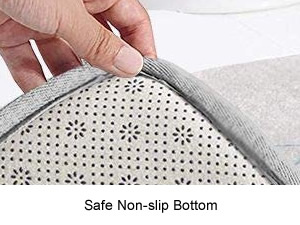 The “non-slip, non-skid bottom” is only so-so. 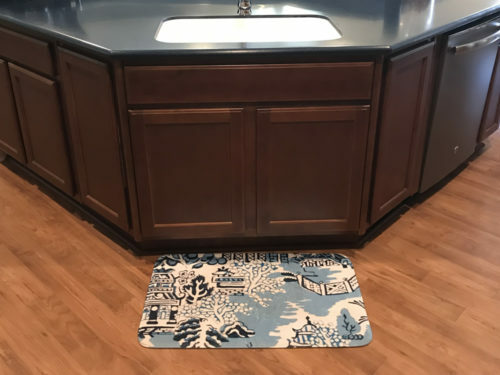 It is just the little dots, not a rubberized bottom like a bath mat. The Roomba floor washer pushes it all around, but I have never slid on it. 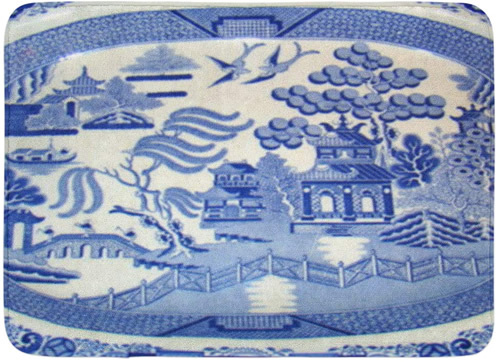 This entry was posted on January 19, 2019, in Blue and White, Oriental Style and tagged Blue and White. Bookmark the permalink.